Carson M-4 Assisted Openers – All Models Available! We are proud to announce that Columbia River Knife and Tool has delivered to us the great Carson Designed M-4 assisted opening pocketknife with all three handles. We now have this great folding pocketknife in Stag, Wood and White Bone. Kit Carson is a remarkable custom knife maker who has some of the world’s greatest pocketknife designs to his credit. The Columbia River Knife and Tool M-16 folding combat knife is one of the best selling knives of all time. 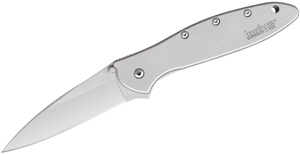 Columbia River has also released the M-04 series and we think it is more of the gentleman’s folding knife than the M-16, but they are all well designed and well made. Down Under Knives – You Call That a Knife? Number 1 on the “KnifeCenter least favorite knife-themed comments list” is the venerable favorite that’s not a knife, this is a knife. Thus, it is with much groaning that I proclaim that this is a knife. Technically, these are knives would be more appropriate, since there are two models and one is a combo, but I digress. Bottom line, Down Under Knives is making some very cool, very well built product, at a very reasonable price. 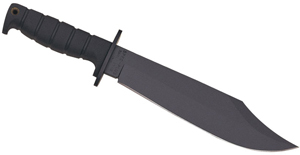 The new Zero Tolerance 0700 is a very tip heavy tanto blade, and we like it! The handles are thin but comfortable to grab in both forward and reverse grip. The blade is S30V, the scales are G10, nothing is second rate. 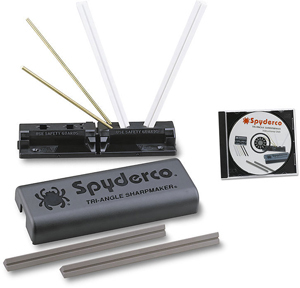 Although not as heavy as some other Zero Tolerance models, it does not compromise blade strength. If you need an under 5 inch tactical folder with a strong, aggressive blade, this is the knife you want.